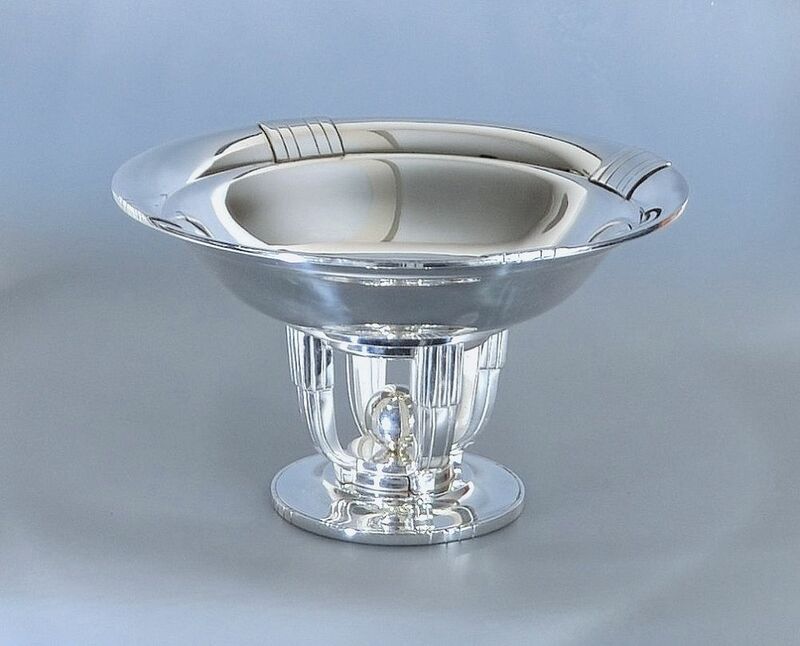 This wonderful Art Deco centrepiece is silver plated on bronze. The outer edge of the round base has four incisions at 12, 3 ,6 and 9 o'clock. In the centre of the base is a two tier platform culminating in a sphere. There are four curved and incised columns rising from the bottom tier to a two tiered plate that supports the curved bowl that has incised and slightly raised sections at 12,3,6 and 9 o'clock.